How do I tile windows side by side? On the site http://ubuntued.info/como-por-as-janelas-do-ubuntu-lado-a-lado is possible to place the windows side by side with the gnome-do, but this tool does not work in the new Ubuntu 11.04 Natty Narwhal. How do I make this work in the new ubuntu? install compiz-fusion-plugins-extra .The defaults in Ubuntu 11.04 involve Upper Left Corner, Left Edge, and Lower Left Corner being set to Left Half, and Upper Right Corner, Right Edge, and Lower Right Corner being set to Right Half. 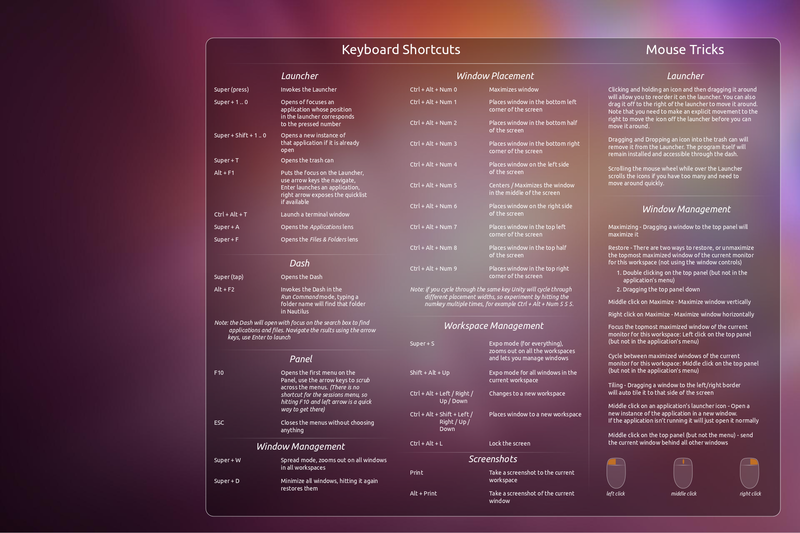 Press and Hold the Super key(Windows Key) until you see a popup that shows all keyboard shortcuts you could use. There is not option to tile windows out of the box but you could use some of those combinations. Not the answer you're looking for? Browse other questions tagged 11.04 compiz or ask your own question. How can I get application side-menu on base Unity install? When will Natty Narwhal 11.04 be stable to use? How to disable gtk-theme in covergloobus? 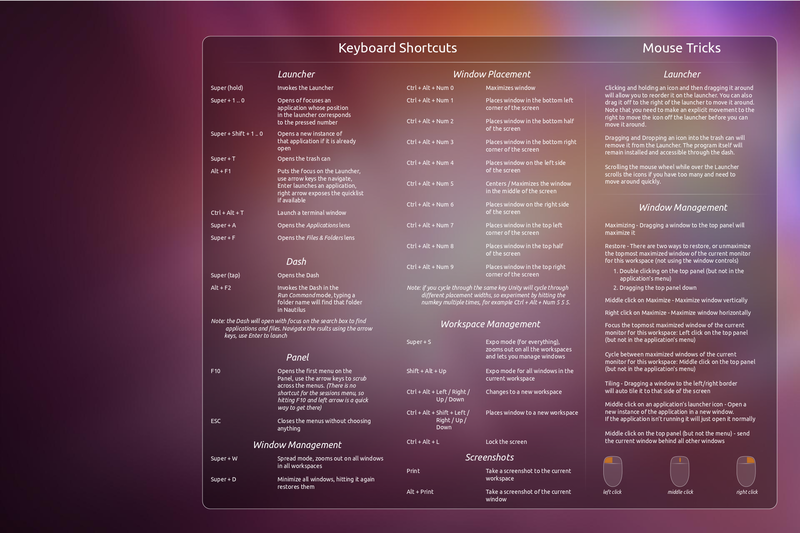 How to set a keyboard shortcut for Compiz negative screen function? Does 11.04 support Sandy Bridge? Update Gedit to 2.32 being able to use SyncTeX on 11.04?